There are physical things in space, and you need to reduce them to ideas. Be it debris, aliens, or more aliens, there are things in space that need to be destroyed. At least, that's what the lineage of games leading up to SUPERVERSE would have you believe. You know, they may very well be right. Perhaps one day we'll be meandering out in the final frontier and come to the sudden realization that the universe really is out to get us, and the only way to ensure humanity's safety is to erase everything north of the mesosphere. If that is the case, we'll be lucky games like SUPERVERSE (that's just so much fun to type) existed to have given us prior training. Though it isn't fully released, the latest game from Industry Entertainment has a new teaser trailer out to show off bits of customization and gameplay. 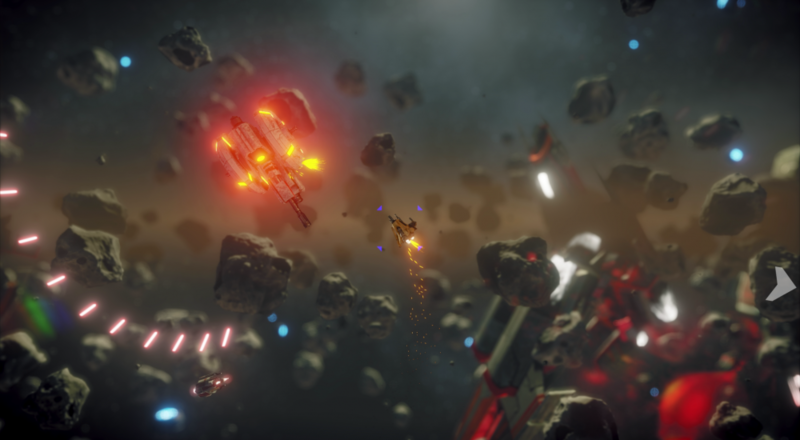 SUPERVERSE (give it a shot, just type it a few times to see how it feels) is built for local four player co-op, meaning you and three pals can spend your evenings eradicating the entire existence of outer space. By the time your crew is done, the citizens of Earth won't even be able to theorize what lies outside their atmosphere. No word yet on when it will see a full release, but the footage from the above trailer seems to indicate that it's closing in on completion. Be sure to check back soon for more info on SUPERVERSE (I can stop whenever I want). Page created in 1.6421 seconds.